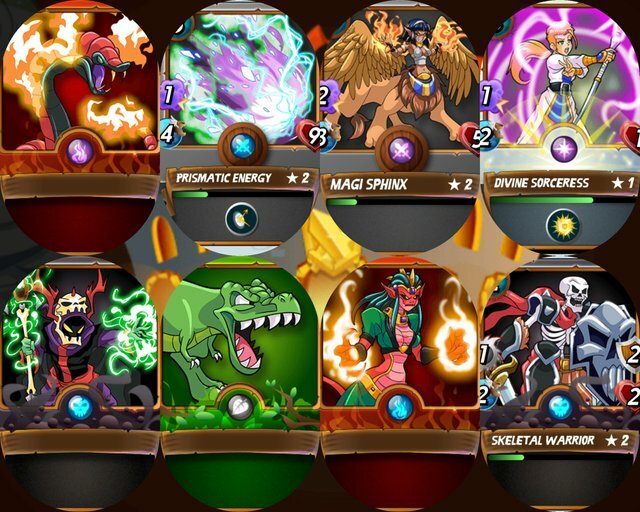 Steemmonsters is an amazing collectible trading card game on the Steem blockchain! To get started playing just click here. There is a $10.00 starter set that must be bought to play. If you can't afford that or simply want to try it out before just diving in, go see @teampossible in our discord We will get you set up and playing in no time. To me this great group is like my home away from everything. No matter what life sends my way...all I have to do is stop in the Teampossible discord. Within minutes I'm all cozied up and the world outside just kinda melts away. We play Steemmonsters together. We talk and poke fun at each other. We share life with one another. We all laugh together...and we cry together. Some say, "You can pick your friends, but not your family." However, with this amazing group of friends, I have both. I love each and everyone of my guild members and they are all so special to me. Recieved a 1200SP delegation from @idikuci!! Our whole team thanks you and are very grateful to you sir. Teampossible is now proud to announce it's support of the Doer-minnows Project. That's a great post @johndoer123 ! I hope it will get more people to join Team Possible, love being there and it does feel like a family :) Great job on writing this post!